I struggle with the limitation of images on mobile/phones. If you are like me, when I scroll through my feed on instagram, I am often only providing a 1-2 second glance at each photo and generally the caption is what might make me hit the pause button to take a second look. From what I've read on Instagram habits to increase your followers and engagement (and honestly it doesn't matter what I do, I havethe world's slowest traction), the advice leans to images that keep simplicity in the square. Overly detailed compositions get lost in the compression, framing and size of the image - so they don't resonate as much. This is a big problem for me. 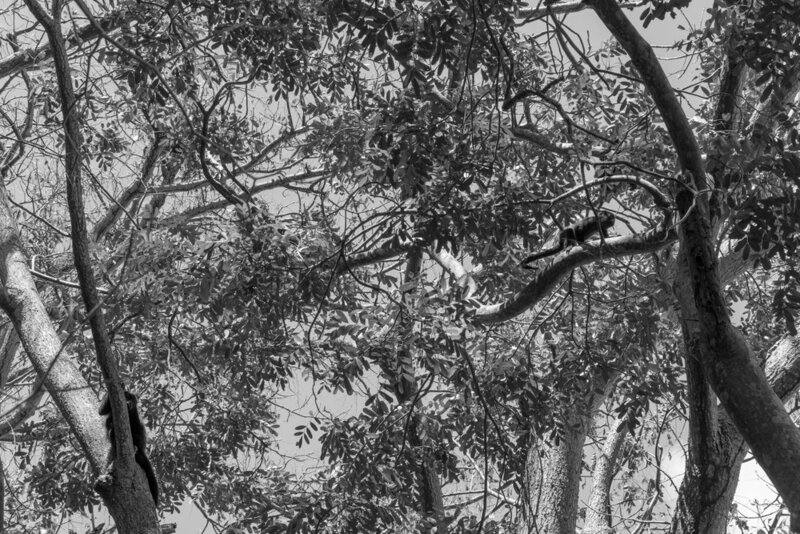 The above image of the baby monkey wasn't working well in color, the color distracted and I got hung up on finding the right tone for the tropical leaves. 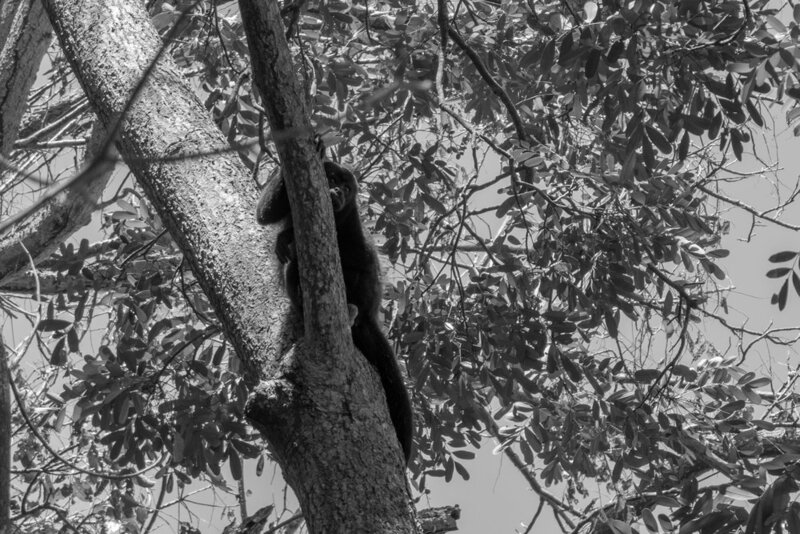 When I flipped the image to black and white, the baby monkey popped and the leaves suddenly felt like a relief. Their shape was their selling feature here but it also revealed a second monkey. This is something you miss in thumbnails and mobile squares, those magical details that only reveal themselves when you enlarge. It is discoveries like this, when I get images large on my computer, that are the magic and what continue to drive me forward. It's continuous proof that instead of dumping something into the outtakes bin, it's worth a second or third look. I would have NEVER known this monkey was there .. and just look at him looking at me! Made my day.